The leading search engines, such as Google, Bing and Yahoo!, use crawlers to find pages for their algorithmic search results. 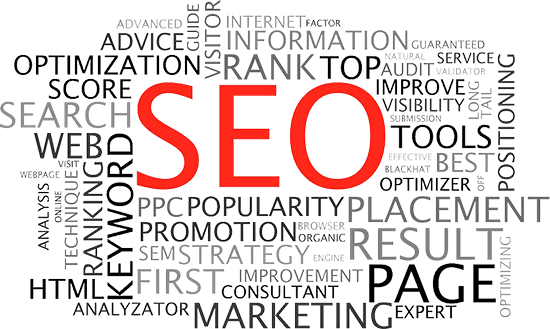 Pages that are linked from other search engine indexed pages do not need to be submitted because they are found automatically. Two major directories, the Yahoo Directory and DMOZ both require manual submission and human editorial review. Google offers Google Search Console, for which an XML Sitemap feed can be created and submitted to ensure that all pages are found, especially pages that are not discoverable by automatically following links in addition to their URL submission console. Yahoo! formerly operated a paid submission service that guaranteed crawling for a cost per click; this was discontinued in 2009. Based on the campaign objectives and keywords indicated by the client and research in the Project Objectives & Scope Survey document, TMalone Marketing would design a customized search engine optimization strategy to efficiently address the client’s business challenges. We will determine the overall direction of the campaign. We will develop a company identity; identify the primary messages, themes and topics of your brand. We will identify all participants; develop profiles & biographies and the responsible of each participant. We will set goals and objectives, and time lines for each. This plan will identify and explain what we are doing, how we do it, when we will do it, and what to expect from mouth to mouth. The efforts and results of this campaign will be monitored and measured by TMalone Marketing. Your Organization will receive monthly reports and a detailed analysis every month. You will always know where we are and what we need to do, to accomplish all the campaign goals and objectives.